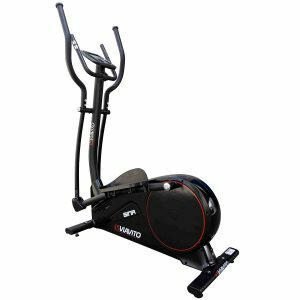 The Viavito Sina Elliptical Cross Trainer is a mid-range fitness equipment that can provide a challenging workout for various fitness levels. Whether you’re a beginner or you just can’t find time to go back to the gym, this cross trainer will be effective in achieving your fitness goals. 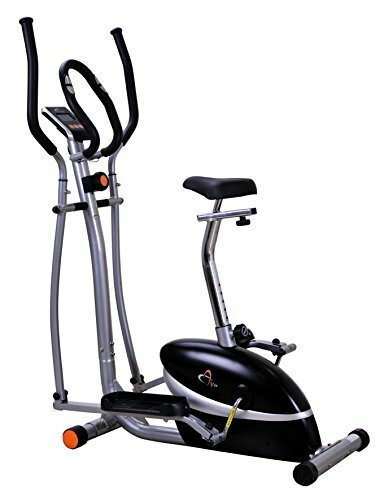 It features a 9kg flywheel with a wide range of magnetic resistance levels, a generous stride length, and it also comes with a good number of workout programmes. It’s hard to find the perfect equipment to add to your home gym, but what makes customers buy this certain cross trainer? Keep on reading to find out I liked and disliked about this product. A noisy fitness equipment can be bothering for anyone. Thankfully, the Viavito Sina Elliptical Cross Trainer works quietly even when set at higher levels of resistance. If you have limited space at home, this cross trainer might not be your best choice because it’s bigger than entry-level treadmills. On the other hand, that means it provides more room for improvement which is important if you’re serious about getting fit. 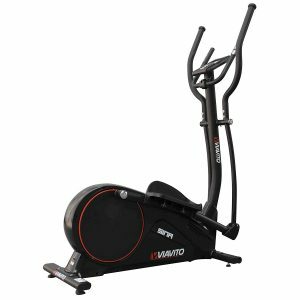 This cross trainer features a 9kg (19.8lbs) flywheel that’s responsible for its smooth and quiet operation, and also adds to its stability. It can support a maximum user weight of up to 120kg (264.5lbs) so it’s an excellent choice if you’re trying to lose weight, train your muscles, or improve your cardio endurance. 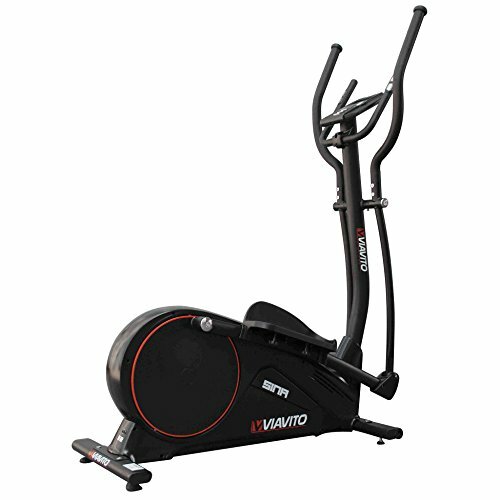 The Viavito Sina Elliptical Cross Trainer will provide you with a variety of intensity with its 32 levels of computer controlled magnetic resistance. If you’re a beginner, you can start with the low resistance and work your way up as you improve; while if you’re on a more advanced fitness level, you can immediately use the higher resistance levels which can you still find a bit tough to handle. This cross trainer comes with 20 workout programmes that can keep you motivated to consistently workout. These workouts programs include 12 pre-set programmes, 4 for heart rate controlled, a user-defined programme, and other helpful options. Monitoring your progress is important every time you workout. 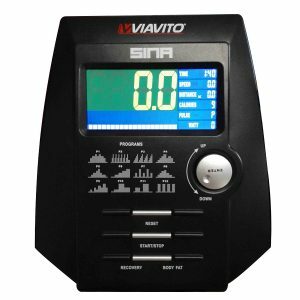 The Viavito Sina Elliptical Cross Trainer features a dual colour backlit LCD screen that provides you with more than just statistics. It allows you to save up to 4 user profiles where you can input your age, gender, weight and height so you can get personalised feedback and you can also switch the unit of measurement from metric (KPH) to imperial (MPH). The console on this cross trainer also features a dial control which enables you to quickly select your desired settings without the need the hit the buttons repeatedly. Your comfort is one of the essential things to consider when working out. Even though you’re trying to achieve your fitness goals with a heart-pumping exercise, it’s still important to keep your body at ease and maintain proper posture. That’s why the Viavito Sina Elliptical Cross Trainer has large non-slip footplates and a 38cm (15in) stride length so you can maximise your potential with every session. It also has two types of handlebars, the moving stride bars which help you tone your muscles in the arms while working out your lower body, and the fixed central handle wherein you can put your arms at rest or check your heart rate using the built-in pulse sensors. The main disadvantage that I encountered with the Viavito Sina Elliptical Cross Trainer is that it’s not very easy to assemble because the instructions are quite confusing. Although it’s a little difficult to put together, your patience would help a lot in building it in about an hour. I also find this equipment heavier than other models, which is expected because it has a heavier flywheel. But with its built-in wheels, you shouldn’t worry about moving it from room to room. 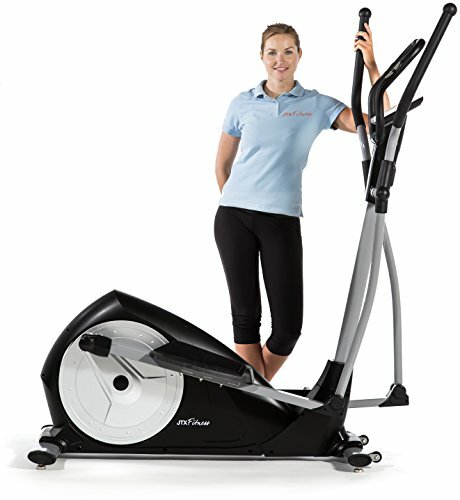 The Nordic Track Elite 11.0 Elliptical Cross Trainer falls under the upper mid-range among this type of exercise machine. It’s exceptionally stable with a maximum user weight of up to 145kg, and it boasts an 18 to 20-inch stride. This stride length automatically adapts as you adjust the power incline levels from 0 to 20 degrees to maintain a comfortable movement. It also features 22 resistance levels that work with an SMR™ Silent Magnetic Resistance to ensure each adjustment is smooth, natural and flowing. This cross trainer is an excellent bit of kit with advanced functions like OneTouch Controls, built-in speakers, workout fan, and a lot more. Nordic Track Elite 11.0 Elliptical Cross Trainer Detailed Review? CLICK HERE. If you have a few more bucks to spare, you might consider buying the JTX Strider-X7 Magnetic Cross Trainer instead. It features a coloured touchscreen console that includes 21 built-in programs to choose from. 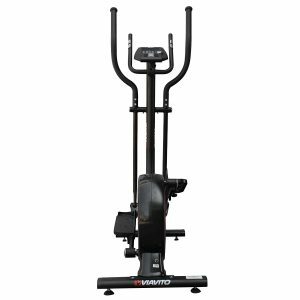 This cross trainer has a 12.5kg flywheel that ensures a smooth and stable workout and offers 16 resistance levels to improve your fitness level continuously. It has a maximum weight capacity of 110kg, and it features a 16-inch stride length to gain optimum results. 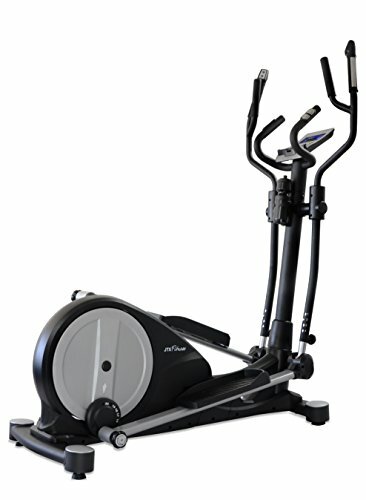 The JTX Tri-Fit Cross Trainer is another mid-range cross trainer that came from the same brand as the previous model mentioned. This model features a more advanced console that’s Bluetooth compatible and allows you to create resistance responsive training routes from anywhere in the world. It also offers various stride length options that range from 16in up to 20in that can be useful for all fitness levels. With a maximum user weight of up to 135kg maximum weight capacity and a FREE heart rate chest strap, you’re guaranteed to get an excellent value for your hard-earned money on this one. JTX Tri-Fit Cross Trainer Detailed Review? CLICK HERE. 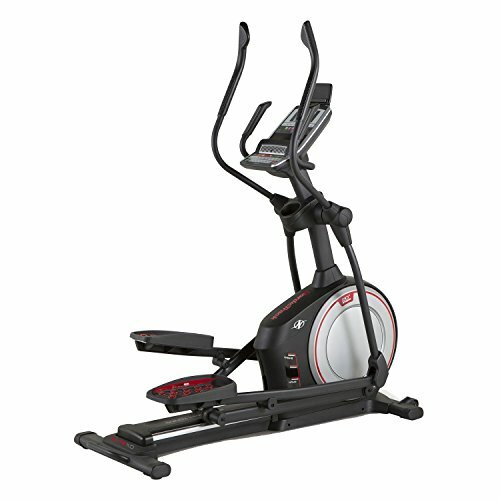 If you have a limited budget in mind, the V-Fit MCCT-1 2-in-1 Cycle Cross Trainer might be an excellent option for you. It has a silent magnetic flywheel that weighs 4.5 kg, and it can support a maximum user weight of 110kg. With a height-adjustable large padded saddle and oversized non-slip footplates, the machine will surely suit your shape and size perfectly. Its monitor is also relatively simple to use, without any advanced function, but it can help you track your progress by reading your theoretical calorie burn, distance, hand pulse readings, odometer, scan, speed and time. The Viavito Sina Elliptical Cross Trainer isn’t the best one you can get in the market, but it offers an unbeatable value for its price. If you have zero knowledge about fitness machines or you’re seeking to upgrade your entry-level equipment in your home gym, this cross trainer will suit you either way because it caters to almost all fitness levels with its wide range of magnetic resistance levels.